In what could lead to major liberalisation of the foreign investment policy in commodity exchanges, the commerce ministry has requested the department of economic affairs to consider allowing foreign entities as broker-members of national commodity exchanges. In a proposal sent last week, the department of industrial policy and promotion under the commerce ministry suggested allowing this, subject to the condition that foreign entities form a company registered under the Indian laws. These proposals should be put on the automatic approval route, on the lines of stock broking and forex broking, Department of Industrial Policy and Promotion said. This move, DIPP said, will "increase efficiency, effectiveness, liquidity and maturity of the Indian commodity derivative markets". DIPP's proposal is believed to have the support of the ministry of consumer affairs, food and public distribution and was originally mooted by the Forward Markets Commission. The proposal, however, will be controversial, since the Reserve Bank of India has disallowed several such proposals in the past. For example, when BNP Paribas acquired Geojit Securities, the central bank did not allow BNP to continue with the commodity broking business. Standard Chartered Bank faced the same restriction when it acquired UTI Securities. RBI's contention has been that foreign investment is not advisable in the commodity business because there are no clear regulations for this. Technically, a foreign entity that wants to start a business that does not come under the automatic approval route must approach the Foreign Investment Approval Board for approval. This includes any foreign entity that wants to provide services in "commodity broking activities". 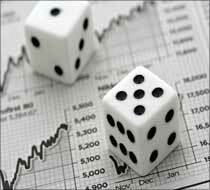 Other activities that are similar in nature like stock broking and forex broking come under the automatic route. DIPP's argument is that since commodity broking is conceptually similar to stock and forex broking, the participation of foreign entities as broker-members though appropriate legal entities on the commodity exchanges would lead to more maturity in the Indian commodity derivative markets. A few foreign-owned broking houses have been active on the commodity exchanges since 2003-04. All of them have opened subsidiaries in India. Experts in the commodity broking business say the real issue will arise while regulating the overseas entities on domestic commodity exchanges, since the regulator - the Forward Markets Commission - is not equipped with the powers and regulations to regulate multinational broking companies.